I’m picking up what you’re laying down and hope to pickup some kits from the northern side of the border! This is a brilliant theme. I love it. That dark teal color is also a cool and unusual one to see. @voodoo6k May I ask where you got the 3D models of DSA that you used to generate your renders? This would have come in handy back when I was designing Galaxy Class. Leopold makes double shot PBT as well, apparently of very high quality. 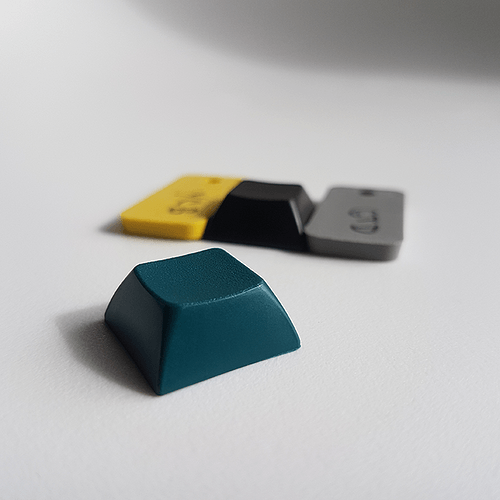 For the DSA models, I had to make them myself based on the samples I ordered. I planned to share my resources (models, scripts, etc.) but I’m not quite satisfied with everything in its present state… Definitely looking to expand my collection and make it available somehow. If you would be willing to share them somewhere, that would be awesome! Please post here or PM me if you do. 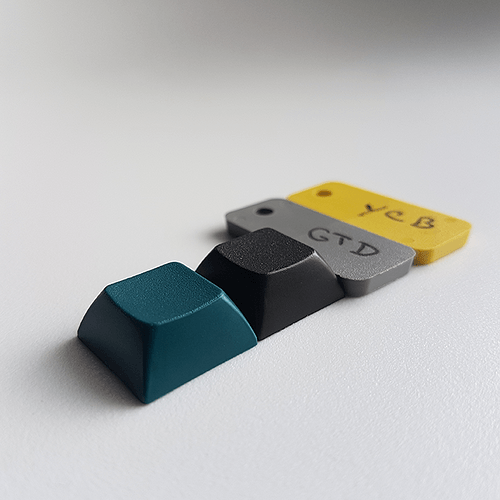 I’ve been contemplating designing a new DSA set and this would make messing around with ideas much easier. I’ve tried to make a DSA 3D model in the past but wasn’t really very satisfied with my efforts. And of course SP doesn’t have any. But what you’ve done looks excellent! @norbauer contemplating designing a new DSA set? This may have just saved my day, folks! Well it’s not so secret. Scientific will be run through TKC in about 2 weeks or so! Figured I can spill the beans seeing as it got posted in MM. I told myself I would not buy any more DSA sets, but this is going to make me break my promise. Will go nice with our Alchemy sets I think! 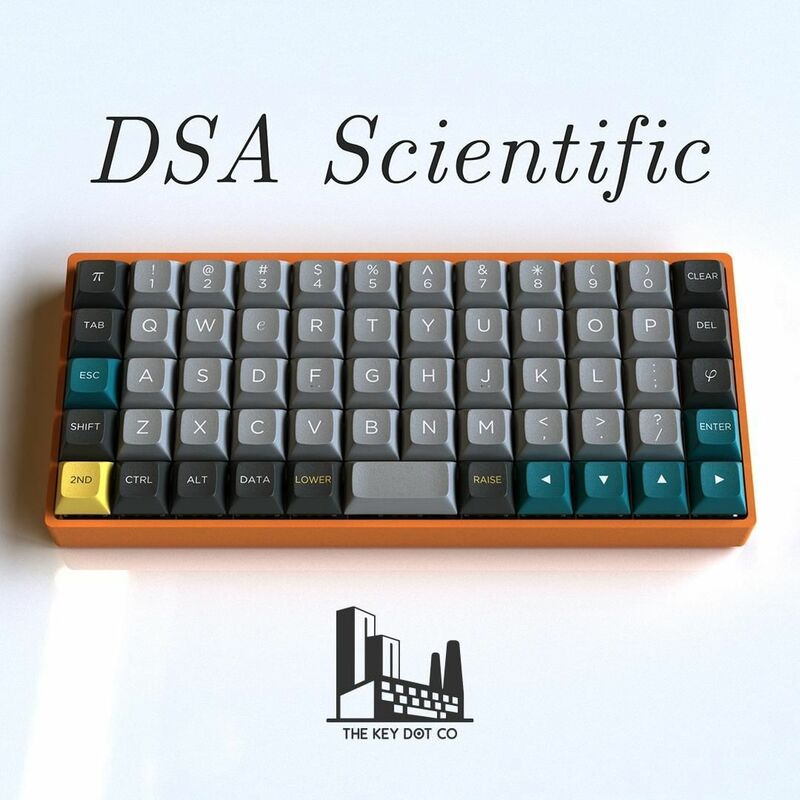 >be happy that DSA Scientific will run in about 2 weeks already. >be  sad  that DSA Scientific will run in about 2 weeks already. Hmm, I only use DSA on my 40% ortho boards so any DSA set is a hard sell for me. 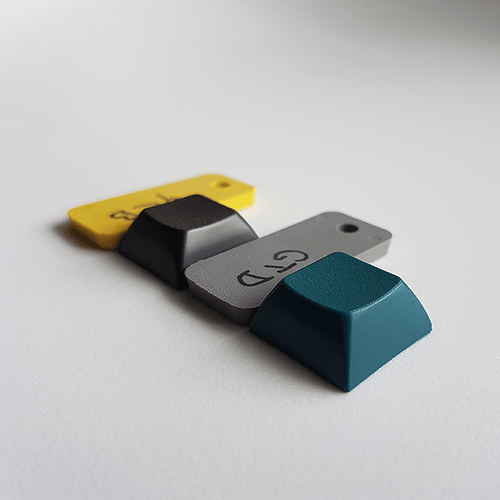 Although the more I see this set the more I want it for my NIU mini & Let’s Split. Gonna have too wait & see the pricing first, but if it’s priced good I’ll probably be in for a set. God help my wallet this year! Some kits have been simplified and combined. Keys are mostly the same, though. We’re going for a mid-April launch. Pricing is still being discussed with our vendor TKC (we got the latest quote yesterday), but we have a general idea. So Ortho is combined with 40s, which means higher price for that kit? Yes, by about 10~15$ . It was either that or risking cancelling the 40’s kit. Which by the way will be cheaper with this change (by more than 15$). I am learning the hard way that small child kits are only feasible in the most popular group buys. Because yes, Signature Plastics doesn’t penalize for splitting into kits, but as a consequence, you sell less of each. Below a certain order quantity, the price goes up exponentially. Of course, this is common knowledge. But we now realize that this threshold sits exactly in our uncertainty zone. For example, with our smaller kits (Numpad, ISO, Norde) we just hope to break even. This way, Atreus is covered and in some cases you will even be able to cover two boards with a single 40’s kit. There are pros and cons. Ultimately, we want to increase our chances of success. I can’t wait to see how the dark teal turns out. Honestly that’s my favourite part of this whole set!